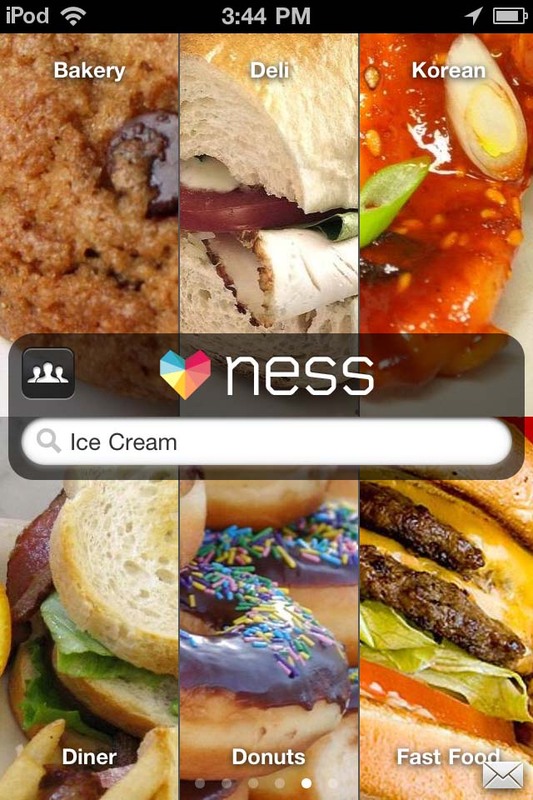 Ness (Free) by Ness Computing, Inc. is like Netflix for the foodie in you, offering personalized suggestions based on your specific restaurant tastes. 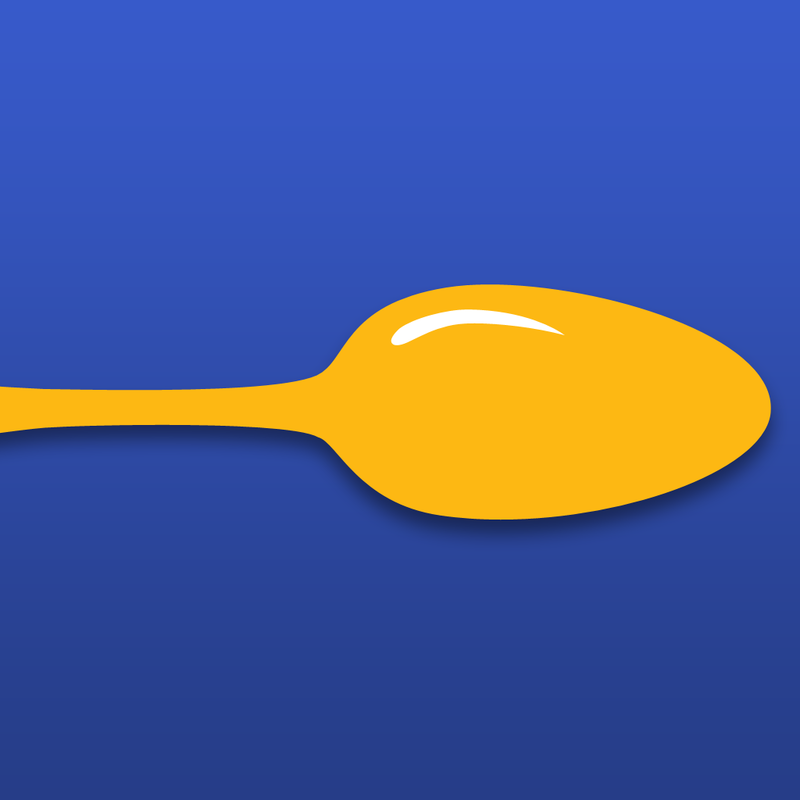 The app adds a unique twist to the same concept offered by other titles like Urbanspoon or Yelp, making it fun to eat out again. 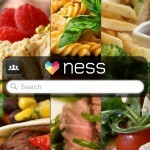 Ness forgoes complicated user reviews and heads straight to the source, asking the user what they prefer to eat instead. 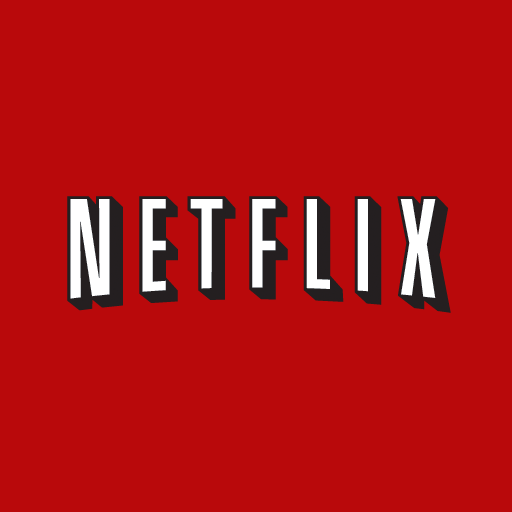 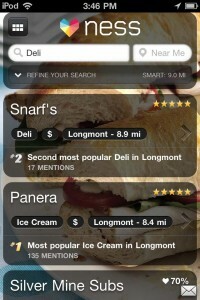 The app allows food connoisseurs to rate restaurants in their local area just as Netflix does for movie ratings. 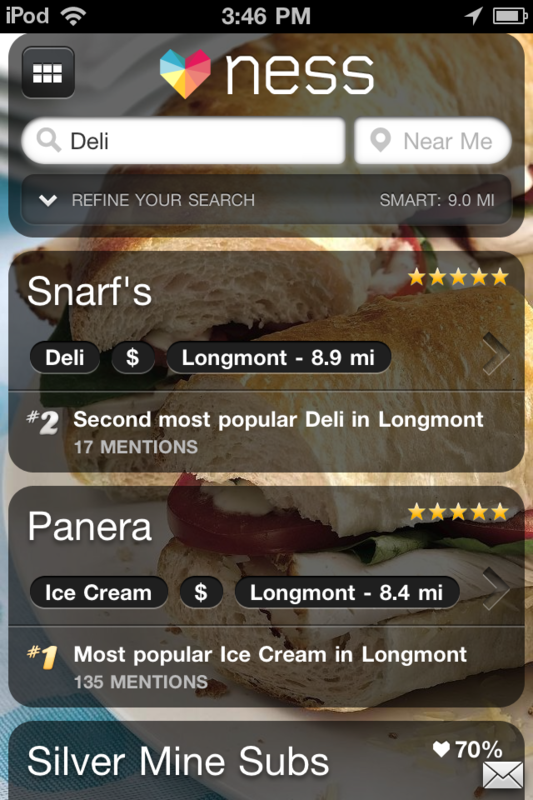 Users give each location a star rating on a scale of one to five: one being a bad day at McDonalds, while five is a fancy meal at that posh place downtown. 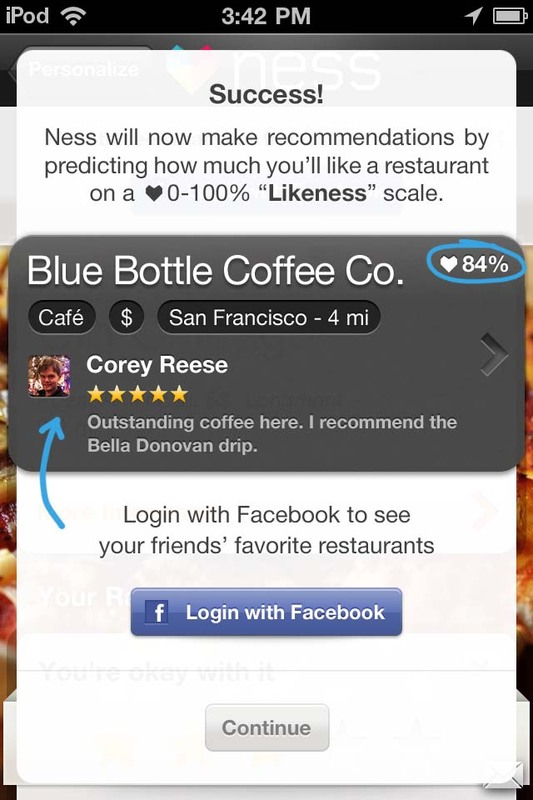 The more users rate, the better Ness gets at discerning the individual’s tastes. 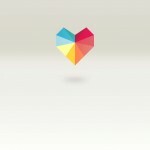 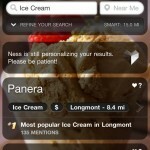 Once the app has built-up at least ten reviews, it starts to offer user-customized recommendations. 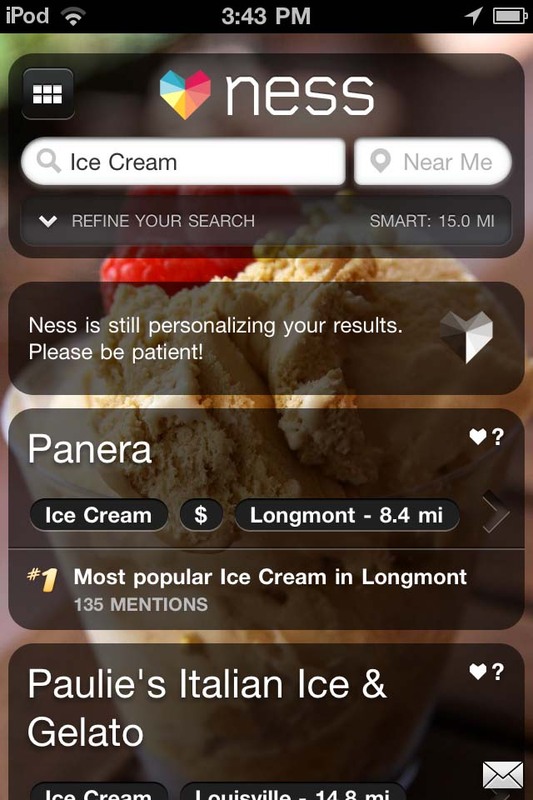 In contrast to apps like Yelp, Ness focuses on guessing which restaurants you’ll love, rather than finding the joints that are closest to your current location. 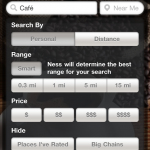 Not to say that GPS functionality isn’t present: Ness offers a variety of filters that can be used to sort results based on distance, price, or national chain recognition. 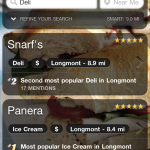 Users can also choose to search for restaurants that are closest (in a manner similar to Urbanspoon) rather than by their personal ratings. 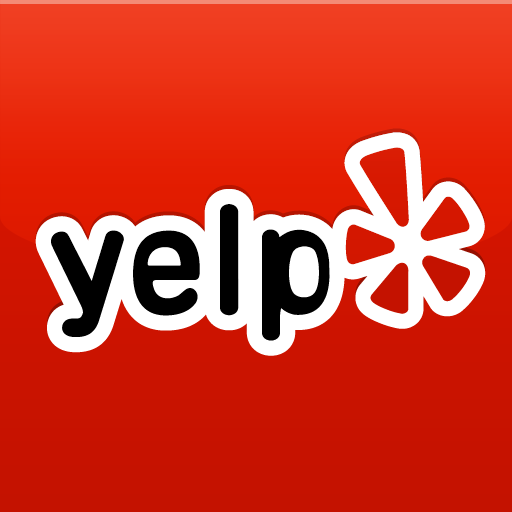 If you want a bit of Yelp review creation added to your suggestions, Ness also features an online community that anyone can sign up for. 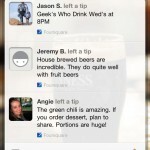 Once an account has been created, it can be used to leave public comments about any listed restaurant. 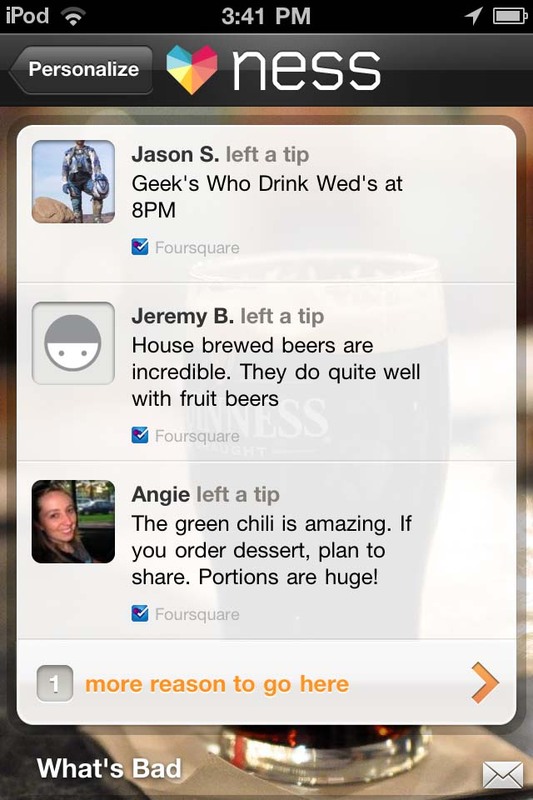 There’s even the option to post new reviews to Facebook. 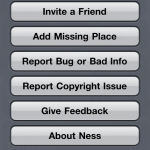 It’s worth noting that Ness’ interface looks absolutely gorgeous. 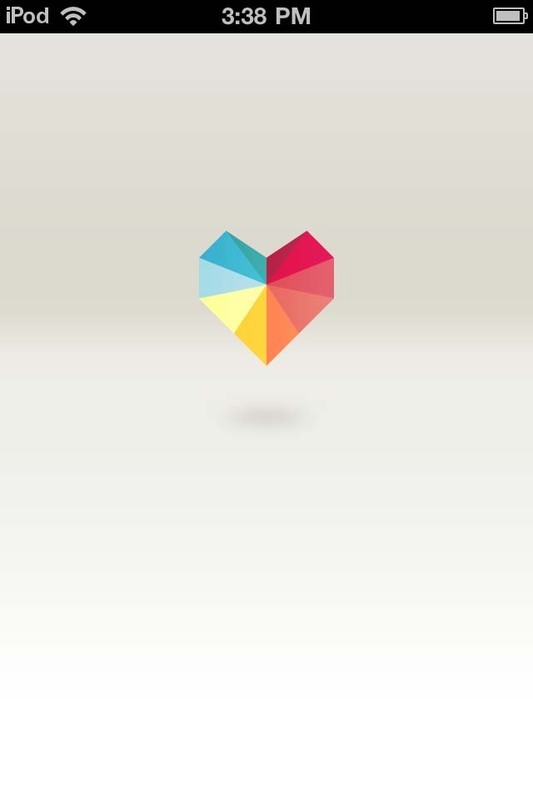 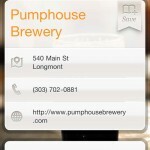 The app makes extensive use of a tiled background that can be clicked to return restaurant suggestions. 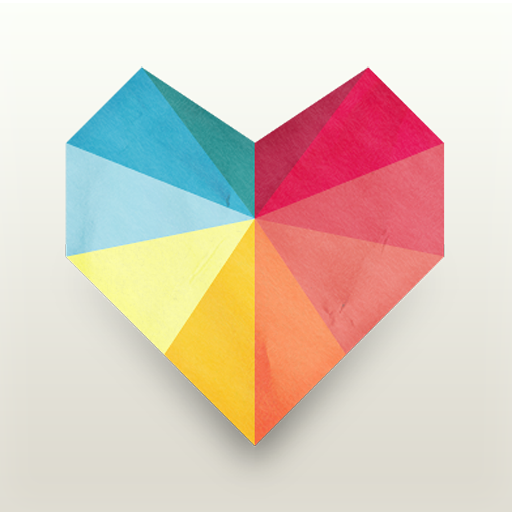 At first, this seemed like a clunky, artsy way to go about things, but the more I used the application, the more I fell in love with the detailed artwork. 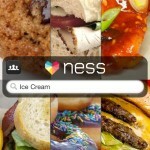 Ness’ focus on good looks can become a hinderance at times, however. 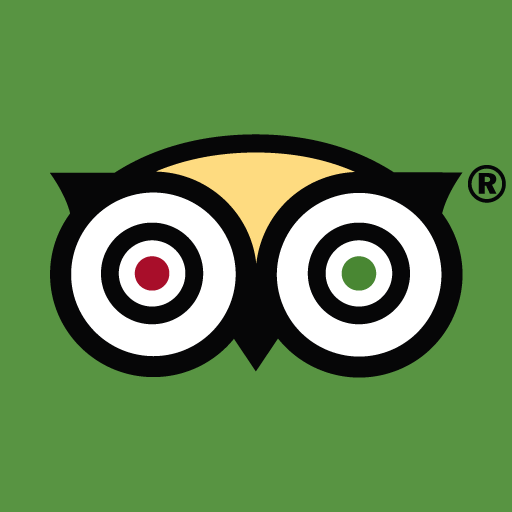 For instance, I would have greatly appreciated a random button, or a place where I could get random restaurant suggestions based on the sum total of all my reviews. 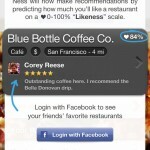 There’s also no quick way to rate the restaurant you’re currently at, in the same manner as Foursquare. 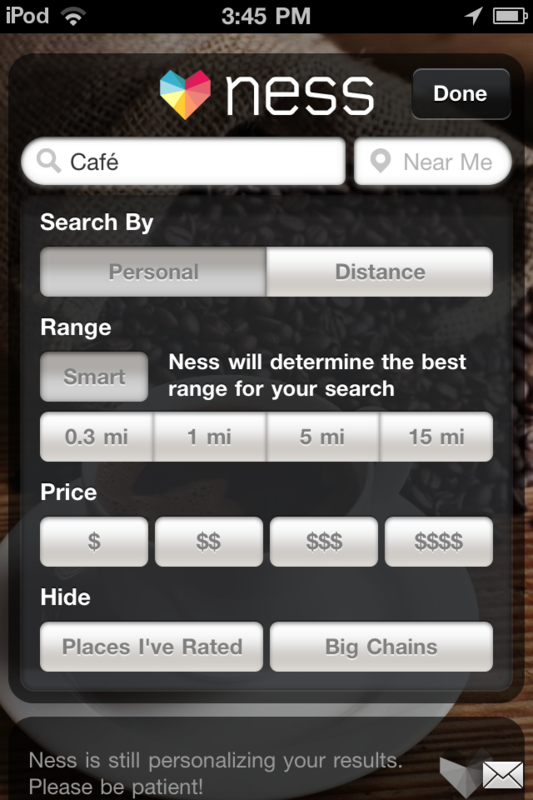 This felt like an odd omission, especially as the app’s ratings system is what sets Ness apart. 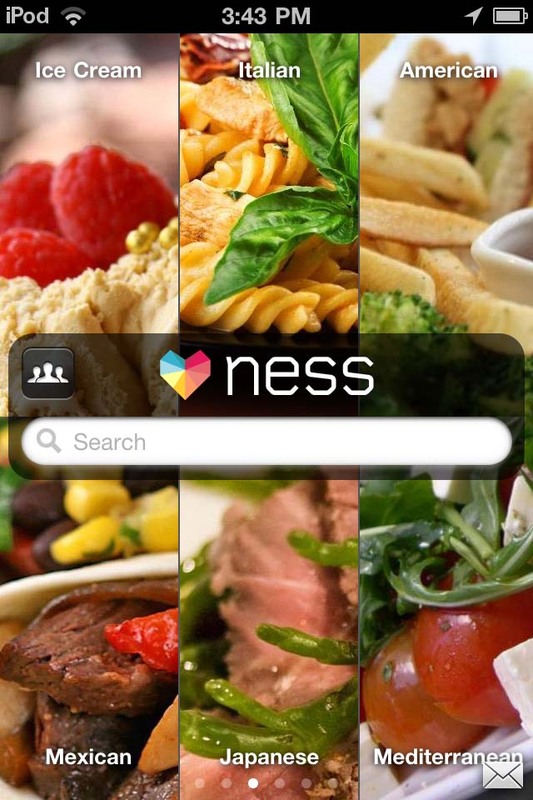 That being said, Ness is easily one of the coolest food apps around. 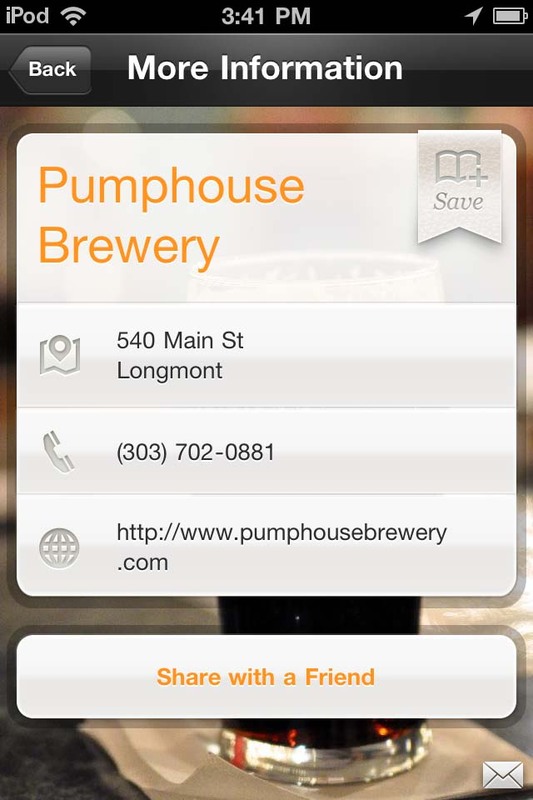 It’s a free offering in the App Store, too, meaning there’s no reason not to give it a go if you’re a frequent Yelp or TripAdvisor user. 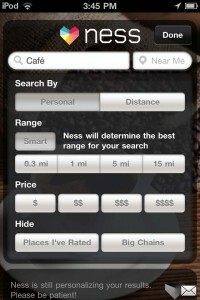 Ness takes a unique approach to dining using the iPhone, and with such a gorgeous interface, you won’t be sorry you gave it a download.